1. To separate introductory phrases from the main sentence: Knowing Prince Cedric would be at the ball, Lady Charlene chose her dress carefully. 2. To separate two independent clauses: Lady Charlene took a long bath, and she perfumed her hair. These two sentences could stand alone. 3. When opening a sentence with a gerund used to describe action by the subject: Grinning, the servant stepped aside. Breathing hard, he dug the hole deep enough to bury the body. 4. To break out description of a subject: Hair washed and pulled back into curls, Lady Charlene called for her handmaiden to begin dressing. OR Lady Charlene, hair washed and pulled back into curls, called for her handmaiden to begin dressing. 5. To separate dialogue or any quotation from its tag: "You can't mean that," Lady Charlene wailed. OR The King announced, "Lady Charlene will not be attending the ball." 6. To denote a directive from its target: Stop hitting, Jason has a very different meaning from Stop hitting Jason. 7. With an adverbial clause: Although Lady Charlene wished to please the King, she dressed for the ball anyway. 8. To differentiate a clause that conflicts the statement: King Mark was used to having his orders followed, not being ignored by a mere slip of a girl. 9. To set off a non-restrictive clause (aka "which"): The ball, which is only held once a year, was the opportunity many ladies took advantage of to find a suitable husband. 10. To separate a list of items or adjectives: Lady Charlene flung her dress, her jewelry, and her slippers out of the tower window in a rage. 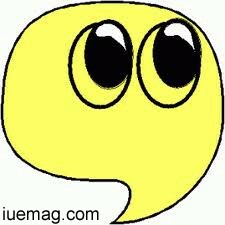 The last comma is called the Oxford comma. Some writers leave off that last comma, but it denotes the last item on the list. Without it, the last two items become one entity. The buffet at the ball would feature roast lamb, venison , grilled herb bread and cheese. Switch the sentence around: The buffet at the ball would feature roast lamb, venison, grilled herb bread, and cheese. Is grilled herb bread and cheese one item? Or two? Depends on where you put the comma.